200 Beacon is located on the north side of Beacon, between Clarendon and Dartmouth, with 198 Beacon to the east and 202 Beacon to the west. 200 Beacon was built in 1862-1863 by contractor and builder John W. Rollins, one of six contiguous houses (198-200-202-204-206-208 Beacon), each built in the same design with all six unified by a single cornice and roof line. John Rollins and his wife, Elmira (Nutter) Rollins, lived at 85 Pleasant. Click here for an index to the deeds for 200 Beacon. On February 4, 1864, John Rollins sold his interest in 200 Beacon to Joseph Zane, a plumber, who also held one of the mortgages on the property. Two weeks later, on February 17, 1864, 200 Beacon was purchased by Horace Gray, Jr., a lawyer. The sellers were John Rollins, Joseph Zane, and John Borrowscale, individually, and John Borrowscale and Albert Betteley as assignees in insolvency of Samuel Hazard. On the same day, Horace Gray also purchased 202 Beacon. On September 30, 1864, 200 Beacon was purchased from Horace Gray, Jr., by Susan Cabot (Jackson) Jackson, the wife of iron manufacturer Charles Jackson, Jr. They previously had lived at 6 Hamilton Place. Charles Jackson died in July of 1871. 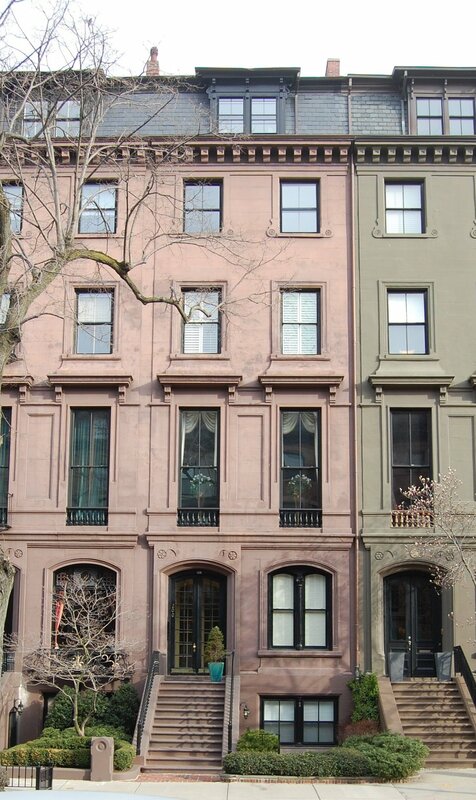 Susan Jackson and their three unmarried children — Charles, Marion, and Frank — moved soon thereafter to 88 Marlborough. On September 26, 1873, 200 Beacon was purchased from Susan Jackson by shipping merchant and real estate investor John Lowell Gardner. He and his wife, Catharine Elizabeth (Peabody) Gardner, lived at 182 Beacon. 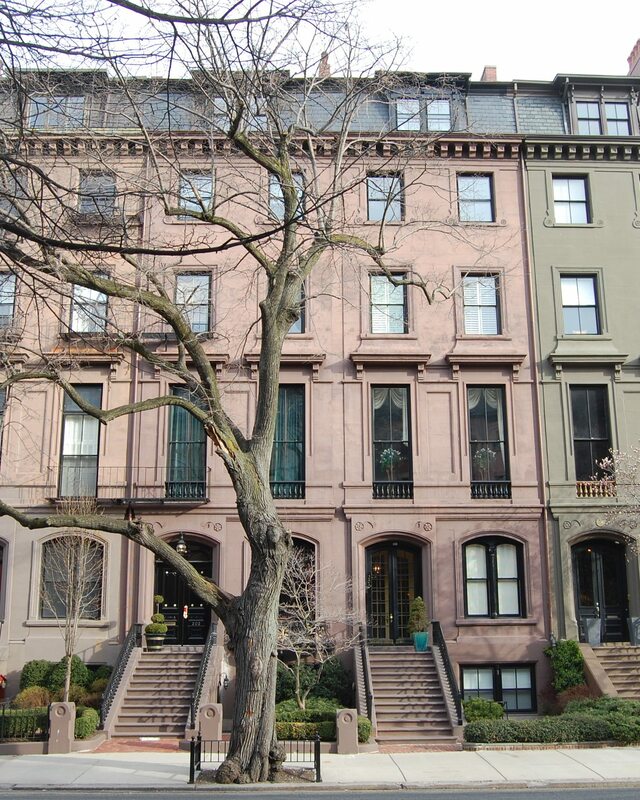 200 Beacon became the home of the Gardners’ son-in-law and daughter, Francis Skinner and Eliza Blanchard (Gardner) Skinner. He was a dry goods merchant. They previously had lived at 81 Marlborough with Eliza Skinner’s brother, George Augustus Gardner, and his wife Eliza Endicott (Peabody) Gardner. John L. Gardner died in July of 1884. In his will, he left 200 Beacon to Eliza Skinner. 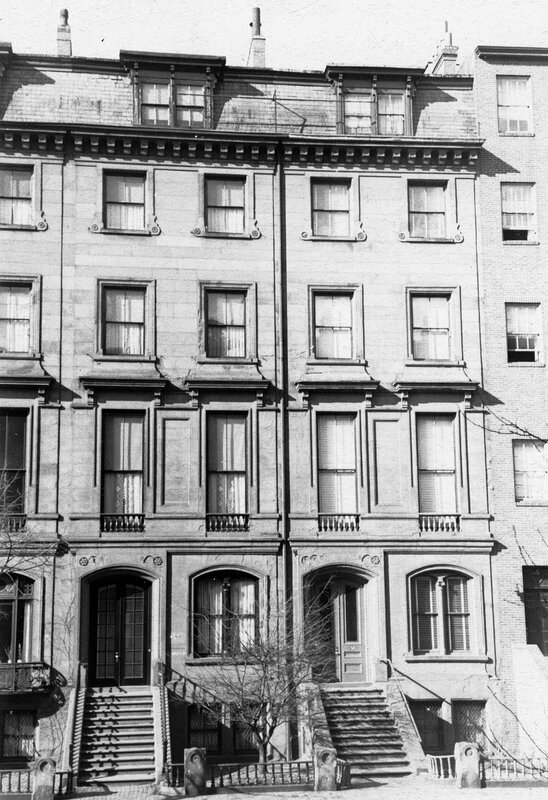 The Skinners continued to live at 200 Beacon during the 1886-1887 winter season, but moved thereafter to a new home they had built at 266 Beacon. On May 17,1887, 200 Beacon was purchased from Eliza Skinner by Rev. Henry Freeman Allen, Rector of the Church of the Messiah (Episcopalian) on Florence Street in the South End. He and his wife, Georgianna May (Stowe) Allen, made it their home. She was the daughter of Calvin Ellis Stowe and author Harriet Beecher Stowe. Living with them was Dr. Henry Cecil Haven. The Allens and Dr. Haven previously had lived at 19 Exeter (owned by Dr. Haven). Dr. Haven probably moved with them to care for Mrs. Allen, who was addicted to the use of morphine. Georgianna Allen died in January of 1890, and Dr. Haven moved soon thereafter to 82 Beacon. Rev. Allen and his son, Freeman Allen, continued to live at 200 Beacon until about 1899. In the late 1890s, Rev. Allen accepted the position of Rector of the British Church of the Holy Trinity in Florence, Italy. He continued to own 200 Beacon and to lease it to others. During the 1899-1900 winter season, 200 Beacon was the home of cotton broker Alfred Dorr and his wife, Ada Elizabeth (Hancock) Dorr. They previously had lived at 11 Brimmer. By 1901, they were living in Buzzard’s Bay. By the 1900-1901 winter season, 200 Beacon was the home of Edward Robinson and his wife, Elizabeth (Gould) Robinson. They previously had lived at 181 Beacon. Edward Robinson was an archaeologist, curator of classical antiquities for the Museum of Fine Arts, and a lecturer on antiquities at Harvard. In 1902, he was appointed director of the MFA. He remained in that position until 1905, when he was named assistant director of the Metropolitan Museum of Art in New York City (he became director in 1910). The Robinsons continued to live at 200 Beacon until they moved to New York City in late 1905 or early 1906. During the 1907-1908 winter season, 200 Beacon was the home of William Henry Elliot and his wife, Mary Fiske (Edwards) Elliot. He was an attorney and banker in Keene, New Hampshire, where they maintained their primary residence. During the 1909-1910 winter season, 200 Beacon was the home of Rev. Henry Allen’s son, Freeman Allen, now a physician. He previously had lived and maintained his offices at 5 Mt. Vernon, and prior to that at 267 Beacon with Dr. Hugh Williams and Frederic Sprague Goodwin. During the 1910-1911 winter season, Freeman Allen was living elsewhere and 200 Beacon was the home of Dr. John Thornton Bullard, a physician, and his wife, Emily Morgan (Rotch) Bullard. They previously had lived at the Hotel Victoria at 273 Dartmouth. By the next season, they had moved to 288 Beacon. Freeman Allen married in July of 1911 to Mary Ethel Gibson and by the 1911-1912 winter season they were living at 200 Beacon. He also maintained his medical office there. His father, who returned to Boston on a regular basis, died at 200 Beacon in June of 1914, while visiting his son. Freeman and Mary Allen also maintained a home in Nahant. Freeman Allen died in May of 1930. He had inherited 200 Beacon from his father and, in his will, he specified that it was to remain in trust for his wife and son, Henry Freeman Allen, with the property to be transferred to Henry Allen twenty-one years after the death of Mary Allen. Mary Allen continued to live at 200 Beacon until her death in March of 1938. Henry F. Allen continued to live at 200 Beacon. He married Emily Lamb Tuckerman in June of 1941 and graduated from Harvard Medical School in 1943, becoming an ophthalmologist and, later, a professor of ophthalmology at Harvard Medical School. In July of 1949, the Old Colony Trust Company, trustee for Henry Freeman Allen, filed for (and subsequently received) permission to remodel 200 Beacon to add a doctor’s office on the basement level and to change the occupancy to a single-family plus doctor’s office. 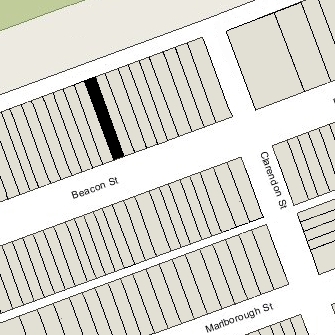 In October of 1955, Henry Allen acquired 202 Beacon, which he converted into a lodging house. On September 16, 1959, twenty-one years after his mother’s death, the Old Colony Trust Company transferred 200 Beacon to Henry Allen.